Kevin Locke is a Hunkpapa Sioux from the Standing Rock Reservation, trained from an early age in all forms of Lakota musical, oral and dance traditions. As a young man, he lived with an elderly uncle at Wakpala, South Dakota. The uncle spoke only Lakota and taught his nephew both the language and traditions of his culture. He learned many courting and love songs by hearing them sung. From elders in the tribe, he learned to make and play traditional wooden flutes. His Lakota name is Tokeya Inajin, which means First to Arise. 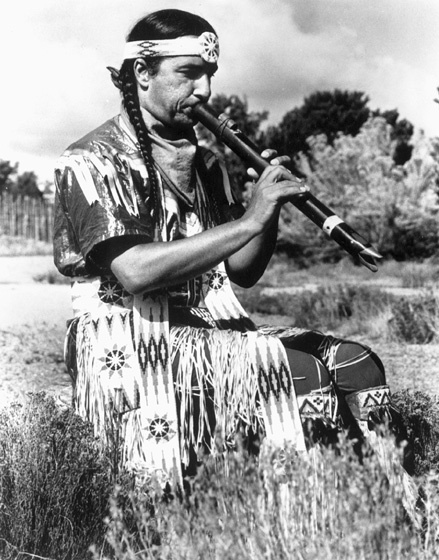 In the late 1970s, he attempted to "revive and diffuse an appreciation for the Lakota/Dakota flute tradition." 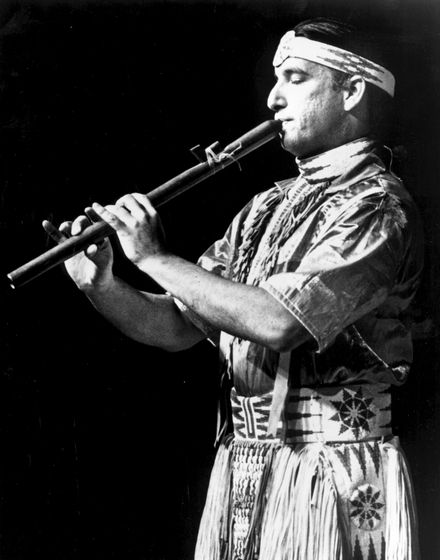 He said, "At the time I started this revival, the last exponent of the flute-playing tradition, Richard Fool Bull, had already departed from this life. My only recourse was to seek out those who could still recall the vocal traditions from which the instrumental flute melodies are derived. ... Lakota/Dakota courting songs were once an essential expression of our intricate social customs and were used in specific situations during the courting process. The social conditions which gave rise to this expression are no longer in force. However, the tradition is a distinct treasure of South Dakota, and the values which gave rise to the use of the flute are those which our current society would do well to heed." Locke has devoted much of his life to preserving the traditions of his people and has traveled the world in doing so. "There is a great need to continue the work of bridging the gap between the Indian and non-Indian cultures of South Dakota," he said. "I have been able to teach countless Indian and non-Indian children to sing, to dance, to stand inside the hoop of Indian culture, and I know that this experience will have lasting influence with regard to future positive race relations within the state." 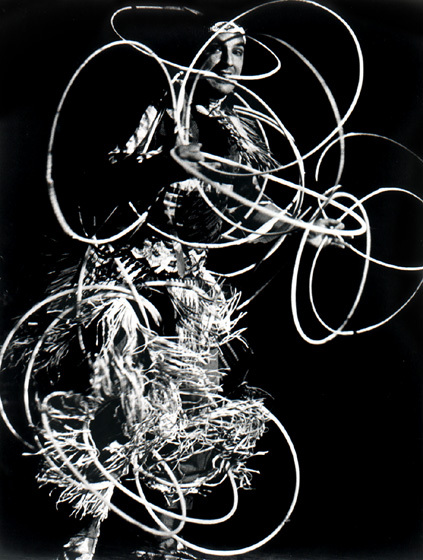 In his presentations, Locke performs on his flute and demonstrates the Sioux hoop dance, using twenty-eight wooden hoops. He often sings Lakota songs in English, though he professes not to be a good singer. But he clearly is a master of the eight flutes he brings along. "I see myself strictly as a preservationist," he said. "I base my repertoire on the old songs. I try to show younger people what was there, and maybe some of the younger people will pick up from there [and compose new music]. There's a point at which you can't express yourself with pure words, and that's where the music comes in." Locke received a Bachelor of Science degree in elementary education from the University of North Dakota and a master's in education administration from the University of South Dakota and has pursued doctoral studies. He spends much of his time, when not performing, working in various aspects of education. 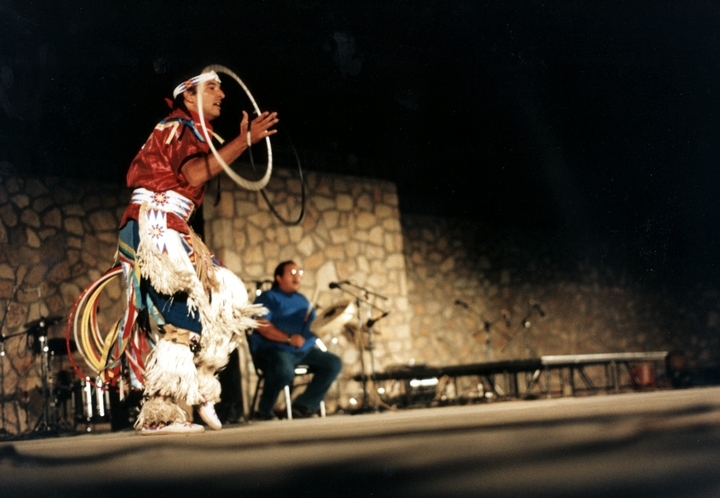 Locke has performed in Native American ceremonies, concerts and festivals across the United States and has toured Europe, Japan, the South Pacific, Australia and Africa. His recordings have been honored at the Native American Music Awards and the Independent Music Awards. Erbacher, Kathy. "Indian Art in Boulder: Annual Festival Provides Outlet for Self-Expression and Economic Survival." Denver Magazine (June 1986). Lifson, Amy. "Around the Nation." Humanities (March/April 1998) 19, 2: 33. "Love One Another — Soar Free!" Christian Science Monitor (August 18, 1999) 91, 184: 19. Discography Locke, Kevin. Earth Gift. 2008, Ixtlan Recording Consortium. ____________. Love Songs of the Lakota. 1995, Allegro Corporation. ____________. Hoop of Life ... Lakota Stories of the Nobility of the Human Spirit. Makoché Music. ____________. Dream Catcher. 1993, Earthbeat. 1996, Spalax. ____________. Keepers of the Dream: Volume 2 of the Dream Catcher series.1995, Earthbeat. ____________. Dream Catchers & Keepers of the Dream (two CDs). ____________. Preserving the Heritage: Insights and Songs from Kevin Locke. 2011, CDBY. ____________. Flute Planet: Songs and Prayers from the Top of the World. Makoché Music. ____________. The First Flute. 1999, 2006, Makoché Music. ____________. Midnight Strong Heart. 2003, Red Feather. ____________. Open Circle. 2006, Makoché Music. ____________. The Flash of the Mirror. 2006, Makoché Music. Kevin Locke, 'Strength to You, Lakota Woman,' Keepers of the Dream,1995, Earthbeat.